Emerging Media: Social Media Inspired Products? We all know that social media has become a major tool when it comes to creating marketing strategies but what if social media could aid in the creation of products we market? Wonder no more. Check out Time article about #Mashtag Beer. 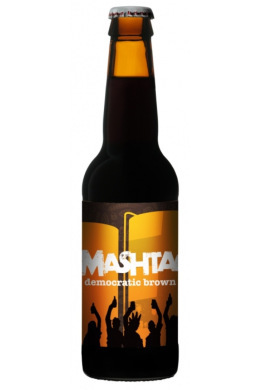 “It might sound like any other idiosyncratic craft brew: a 7.5% American brown ale loaded with New Zealand hops and aged with oak chips and hazelnuts, but no single brewmaster cooked up this recipe — thousands of people on social media networks did” (Peckham, 2013). As a marketing professional, I am eager to see how successful a product is when it is created through social media and marketed there, as well. Click on the picture to be taken to BrewDog’s website.